A new developed shoe for this season. 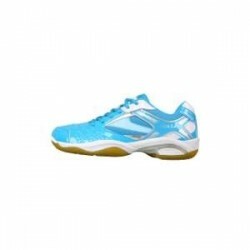 TPU heel protection, lateral side stability and Fzone grip pattern on the sole make this shoe the ultimate choice for the serious badminton player. The TPU piece and the Carbon Tuck Board give 100% arch support which prevents twist in the ankle. The FZ FORZA Extremely shoe is made with 3D Cubic texture on the upper material making it both comfortable and creates a unique look.